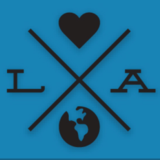 Future Leaders of Our Community (Los Angeles Chapter) is an organization that brings awareness, inspiration and participation opportunities to young professionals in our community. Through unique programming with local nonprofits, businesses, & community leaders; FLOC impacts its members with passion and commitment for the community. Currently, the Los Angeles chapter is in-active. We are recruiting for a new 2017 Team members. If you are interested in joining the 2017 FLOC-LA Team, please sign up on the Team 2017 volunteer opportunity. The Future Leaders of Our Community (FLOC) was established in 2009 to help in bridging the gap between young professionals and nonprofits; the impetus was spawned by the lack of accessible volunteer opportunities, relevant awareness events that invited direct action and inspired leadership.